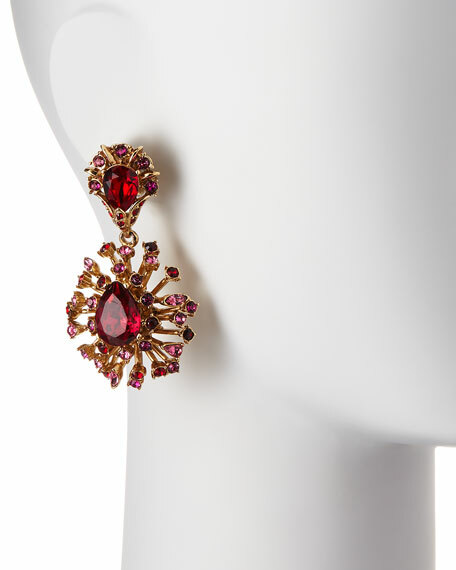 Oscar de la Renta drop earrings in 10-karat yellow gold plate. 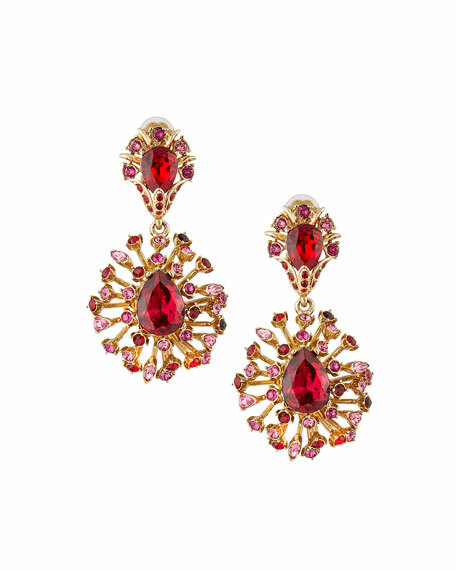 Art Deco-inspired sunburst design with rose/fuchsia Swarovski® crystals. For in-store inquiries, use sku #1959464.